The month of August began with another educational wine class from Total Wine. 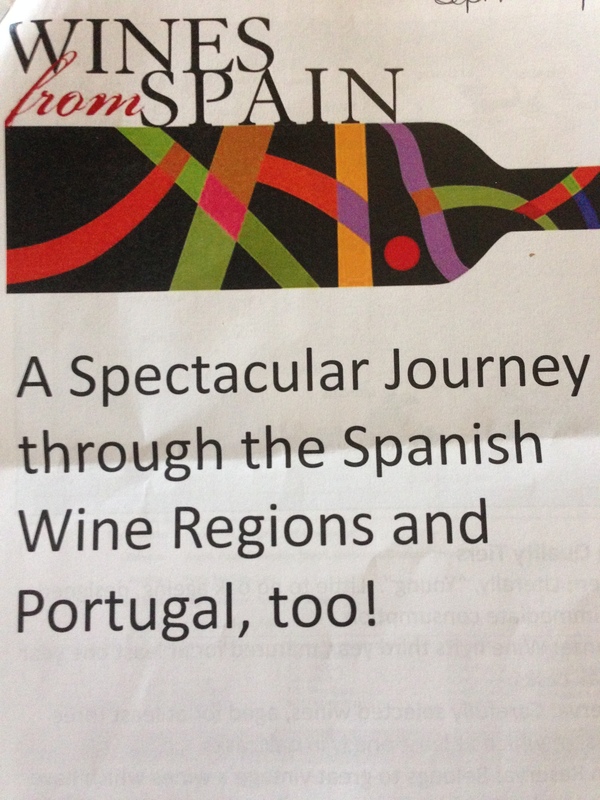 The class was entitled A Spectacular Journey through the Spanish Wine Regions and Portugal, too! As I have come to expect from Total Wine the class was full, the food was plentiful and the wine was flowing. These classes offer an introduction to each region they explore as well as a bounty of wine from the region. The Spanish wine class began with a Cava treat; then moved into tasting 8 additional wines. Prai Vinho Verde: This Portuguese wine is literally translated into “green wine.” It was made from 100% Alvarinho grapes, which is the same as the Spanish grape Albarino. It met the nose with effervescent fragrances of stone fruit and citrus. On the palate it exuded flavors of peaches, fresh apricots, along with lemons, limes and a hint of grapefruit. Somewhat sauvignon blanc in flavor notes but much lighter. It poured almost clear in the glass, was dry with a short finish and light body. This wine contained 10% alcohol and was high in acidity. This was a great summer pool/beach wine and due to its low alcohol content can be sipped on throughout the day or paired easily with food. It was a bit too light for my taste but would pair great with fruit for a summer white sangria or spritzer. 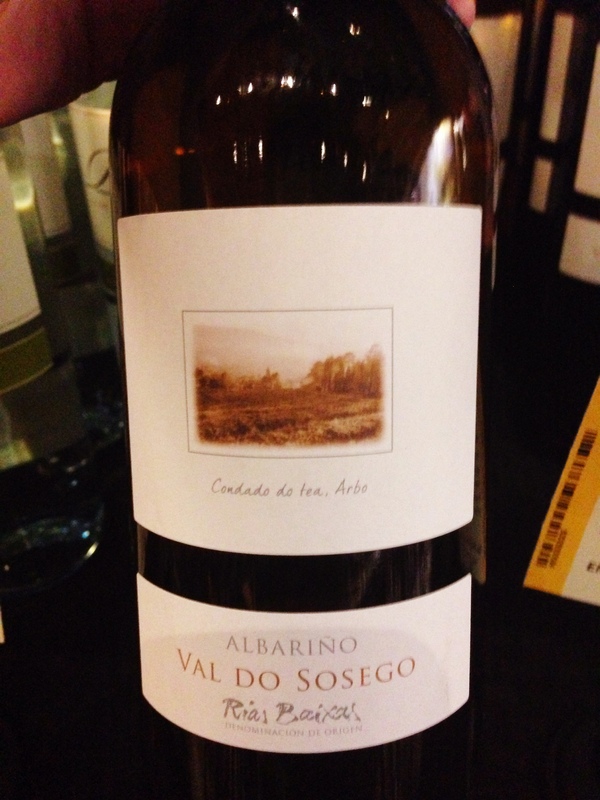 Val do Sosago 2013 Albarino Rias Baixas: This Spanish white wine was crafted from 100% Albarino grapes. The grapes were grown on the hillside of River Mino by Bodegas As Laxas. The Albarino grape offeres a bit fuller body than the Pinot Gris/Grigio or Sauvignon Blanc but still maintains the fresh crispness of those wines. This wine was a pale yellow and met the nose with a bouquet of citrus, honeysuckle and minerals. On the palate this wine offered a creaminess of crème brulee with the flavor of lemon custard, minerals, orange peel and grapefruit. It was a tart, dry wine that offered nice acidity, medium body, and medium finish; containing 12.5% alcohol. It paired perfectly with the saltiness of the prosciutto served as well as the sharp cheddar cheese. It was a crowd pleaser and a great buy at $14.99. I thorough enjoyed this wine. 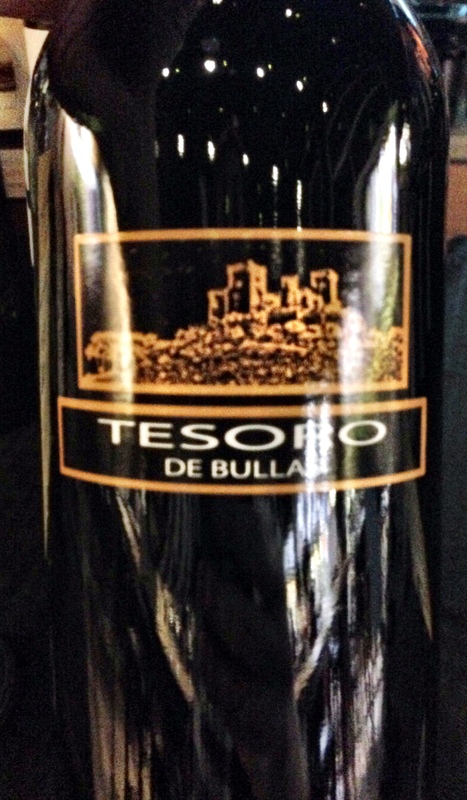 Tesoro de Bullas 2009 Monastrell Seleccion: This wine came from the Bullas region of Spain that was known for its young reds and roses. It was crafted by a group of wine growers who formed a co-op to conserve money in the making process in order to release their wines at affordable prices. They succeeded because the 100% Monastrell was $14.99. The wine was a deep garnet and purple in the glass. The nose opened with bright dark fruit, minerals and a hint of lavender. On the palate it tasted of dark cherries and blueberry jam along with toasted oak, pepper and hints of mushroom and lavender on the back of the palate. It had nice body and acidity, a more mouthfilling wine than those previously tasted. It paired very well with creamy cheese, salami and cheddar. This wine was aged for 10 month in old American oak before being bottled without filtration. The wines we were served had been decanted for 2 hours then poured back into their bottles; however, we were told this wine left a bit of sediment in the decanter. It contained 14% alcohol and received 90 points from Wine Advocate. I enjoyed this wine. 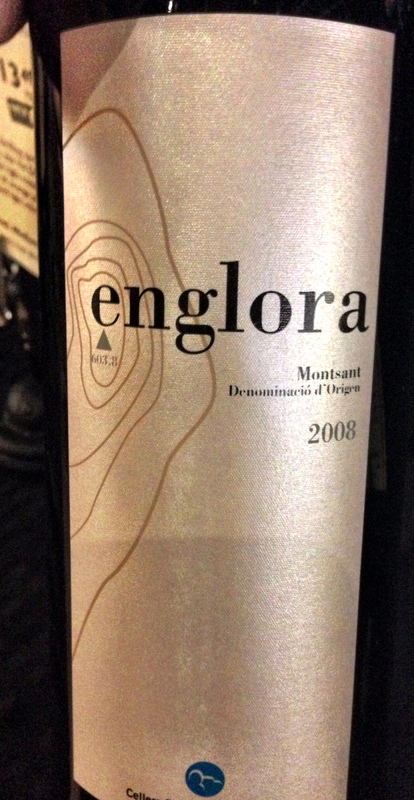 Baronia del Montsant 2008 Englora: The soil in this region was comprised of limestone over granite. 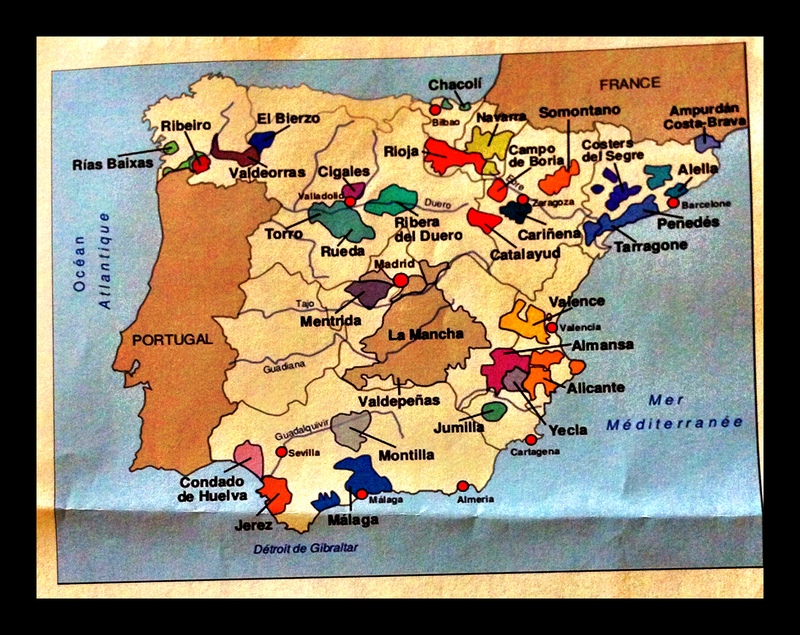 Furthermore, this region fully surrounds the Priorat region, allowing for high quality wines at lower prices. This cuvee was a blend of 47% Garnacha (from 70 year old vines), 22% Carignan (from 50 year old vines), Cabernet Sauvignon, Syrah and Tempranillo. It poured a vibrant garnet into the glass and met the nose with aromas of red berries, spice and vanilla. On the palate it brought forth ripe fruit flavors of cherries, blackberries, raspberries, along with hints of pepper and vanilla. It was med-full body, bright acidity, mellow but noticeable tannins and a medium finish. It paired well with brie and fig preserves as well as salami and roasted vegetables. It was aged for 10 months in new French oak, contained 13.5% alcohol and was $17.99. It received 90 points from Wine Advocate. I enjoyed it but it did not blow me away. 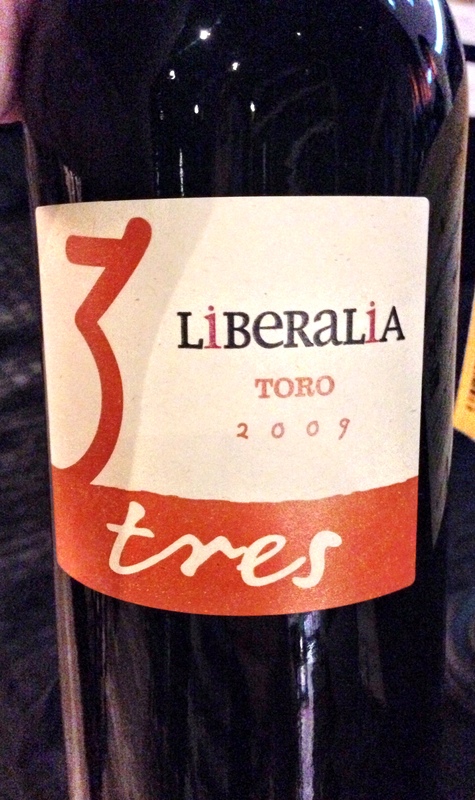 Liberalia 2009 Toro Tres: The name Liberalia was taken from the famous wine-filled celebration held in ancient Rome in honor of Liber, the god of wine, who is also known as Bacchus. This 100% Tinta de Toro (Tempranillo from 60 year old vines) poured a dark garnet with purple streaks into the glass and contained higher viscosity than the other wines samples so far. It met the nose with aromas of crushed blackberries, spice, oak and anise. On the palate it came forth with blackberry jam, black cherries, baking spices, anise and a touch of minerality. It was full body wine with well balanced acidity, fine tannins and a fuller mouthfeel. It was aged in French and American oak for four months, contained 14.5% alcohol and paired beautifully with brie, prosciutto, blue cheese and roasted vegetables. I am not a huge fan of 100% Tempranillos; this one was quite good. At $17.99 a bottle definitely a smart purchase. This wine received 90 points from Wine Advocate and would be a nice addition to any cellar. Valserrano Rioja 2008 Monteviejo: The Rioja region has an Atlantic/Mediterranean climate with soil consisting of calcareous clay. 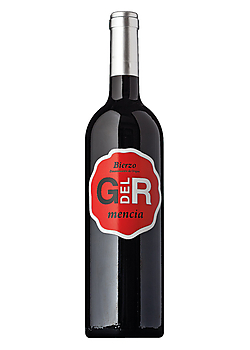 This wine was produced in a single vineyard in Villa Monteviejo and was crafted from 95% Tempranillo (65 year old vines) with small amounts of Graciano and Garnacha. Furthermore, annual production of this wine was 500 cases. It was a deep garnet and opened with a bouquet of dark rich berries, spice, toasted oak and dark chocolate. This palate pleasing wine came forth with flavors of ripe cherry, blackberry jam, baking spice, toasted oak, with a touch of dark chocolate and espresso. It was a medium body wine with integrated tannins, well balanced acidity, and medium finish. It contained 15% alcohol, cost $41.99 and received 91 points from Wine Advocate. I found this wine to be delicious, the best of the class, but not sure it was worth $42. However, at 500 cases of annual production the higher price is not surprising. If you chose to spend the money on this bottle you would not be disappointed with its delivery. 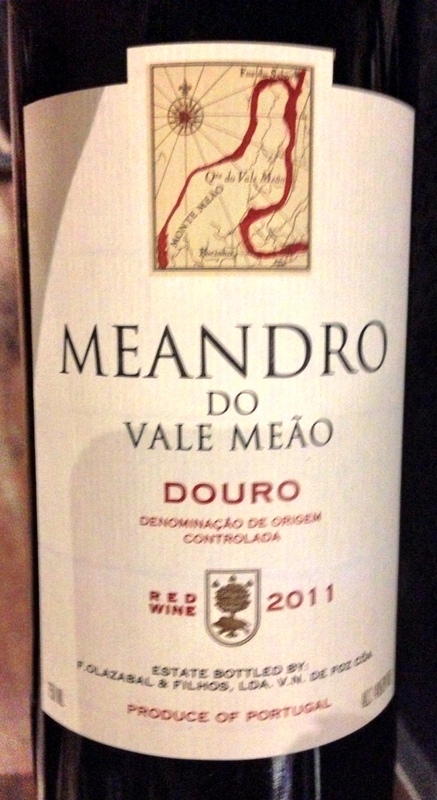 Quinta 2010 Do Vale Maeo Meandro: The final wine of the night brought us back to Portugal. This wine was produced by the Olazabal family. It was a Bordeaux style red that was crafted from 45% Touriga Nacional, 30% Touriga Franca, 13% Tinta Roriz, 5% Sousao, 4% Tinta Barroca and 3% Tinto Cao. This deep maroon wine was truly the product of winemaking! This wine met the nose with deep/dense aromas of dark fruit, oak, and pepper. On the palate it delivered bark black cherries, ripe crushed blackberries, and cranberries, along with baking spice, pepper and toasted oak. 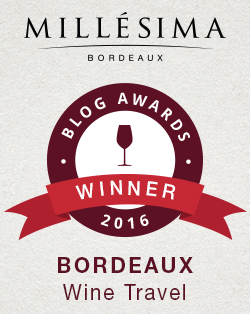 It was a med-full body wine with concentrated tannins, beautiful acidity and a medium finish. It paired very well with the soft cheeses, brie, blue cheese, prosciutto, salami, and roasted vegetables. This wine contained 14% alcohol and was priced at $24.99. 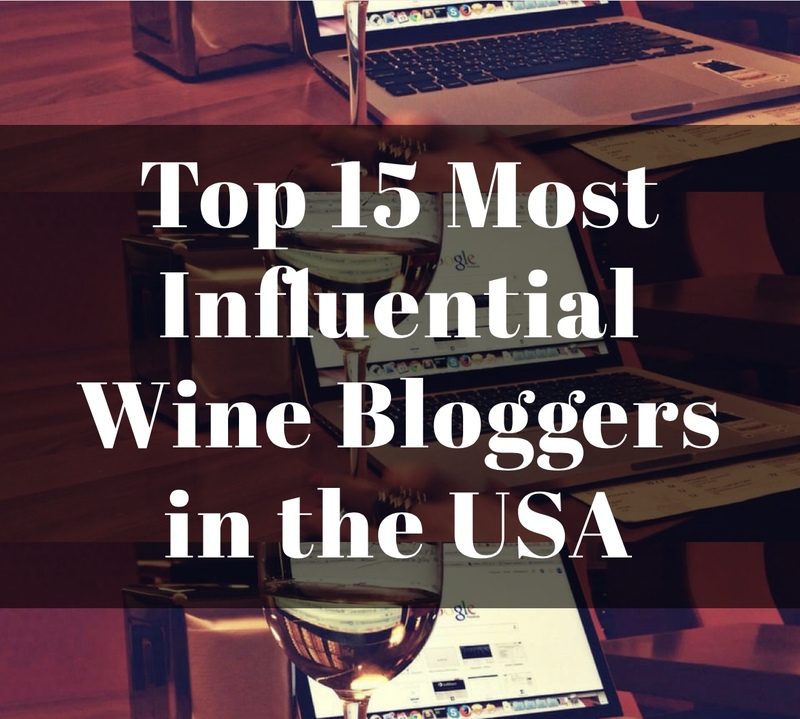 It received 90 points from both Wine Spectator and Wine Advocate. The Olazabal family’s $80 cuvee is a regular on Wine Spectator’s Top 100 annual list; therefore, this was quite a ‘bang for your buck” wine. It was a hit with the class and I really enjoyed it as well. 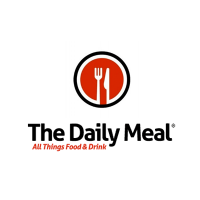 I encourage you to visit Total Wine’s web site, find a store near you and attend their wine education classes. At $20 a person they are an excellent value for the materials, lecture, food and wines. 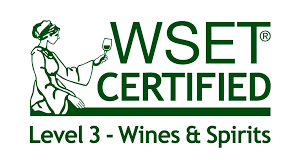 Plus any wines featured in the class are 15% off to participants at the conclusion of the class. It is a great deal and I highly recommend it. My Song Selection: The song I have chosen to pair with fun and educational night of Spanish and Portuguese wines is Livin La Vida Loca by Ricky Martin. It is hard to pair one song with eight wines but this fun song certainly captures the fun element of the evening as well as the style of the Latin culture. Now of course I realize Ricky Martin is from Puerto Rico, not Spain or Portugal but it is vibrant song and the wines we drank were also vibrant so it works for me. Head over to your local Total Wine or visit their web site to get yourself these bottles of wine and let me know what song you would pair with them. Cheers! I think most of the wines we tasted are the same with a few substitutes. It is interesting to compare notes. And I agree, for 20 bucks the classes are a great value! Yes I hope to attend the Napa tasting in September. Do you plan to attend? I’m signed up! We can compare notes again. I have tasted a few of them namely Quinta and Valserrano Rioja. Got to taste the rest. I wonder if the rest are vintage wines as they are not often found in the wine store. I prefer buying wine online. The online store that I trust is Winesaver. Thanks for sharing this post. Since Total Wine is a large retailer & tend to sell the same wines in all their stores (more or less) I believe each of these wines are from larger producers. U should be able to find most of them online if not from Winesaver then certainly from Total Wine. Cheers!